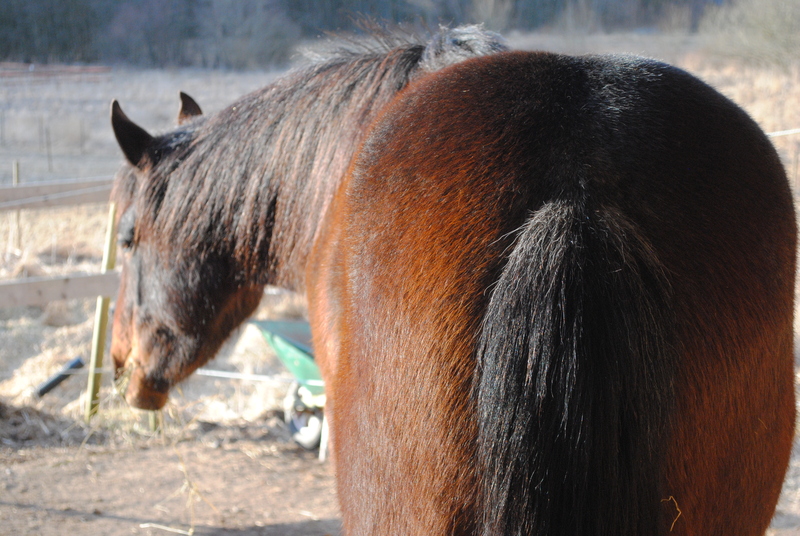 The soft light from the setting sun makes Windflower’s red roan coat sparkle. Even if the temperature is below freezing her coat feels warm and it is obvious that she enjoys this moment like no other. 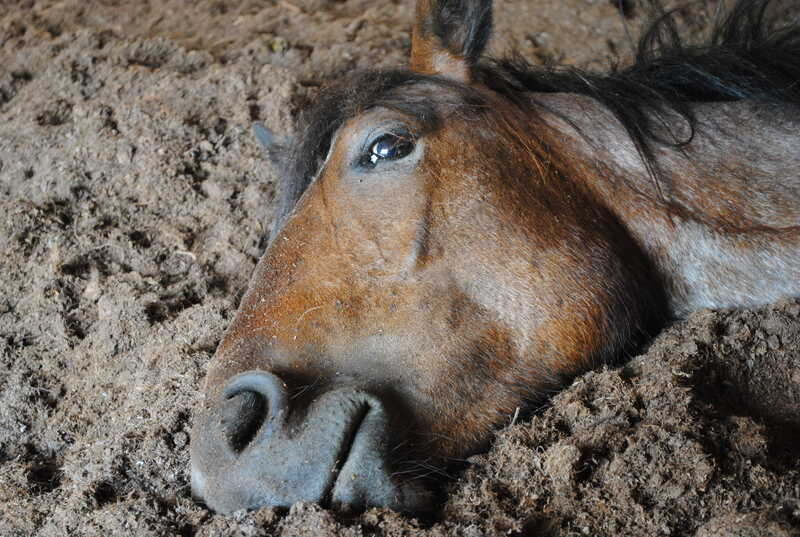 Sitting down beside the horses, leaning my back against the barn wall, gazing at the sun with eyes closed and listening to the hypnotic sound of horses slowly chewing their hay is the kind of moment that is worth anything and everything. 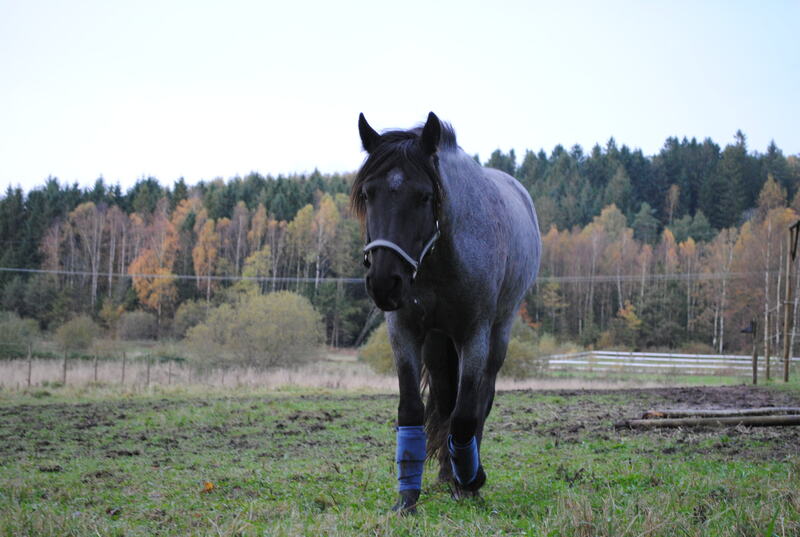 There are no fuzz or quarrels among the horses, they all relax and just enjoy being horses, smiling toward each other. A perfect end of the day and a nice weekend to look forward to. Amino acids are building blocks for proteins and therefore essential for all kinds of cells. They play an important role in biosynthesis (a process in cells by which substrates are converted to more complex compounds). 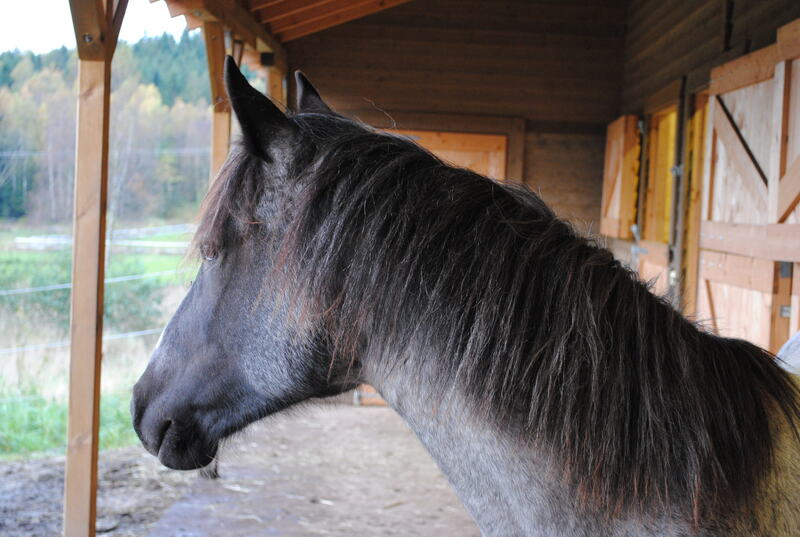 Amino acids, in the form of proteins, are the largest component of the horse’s body, except for water. 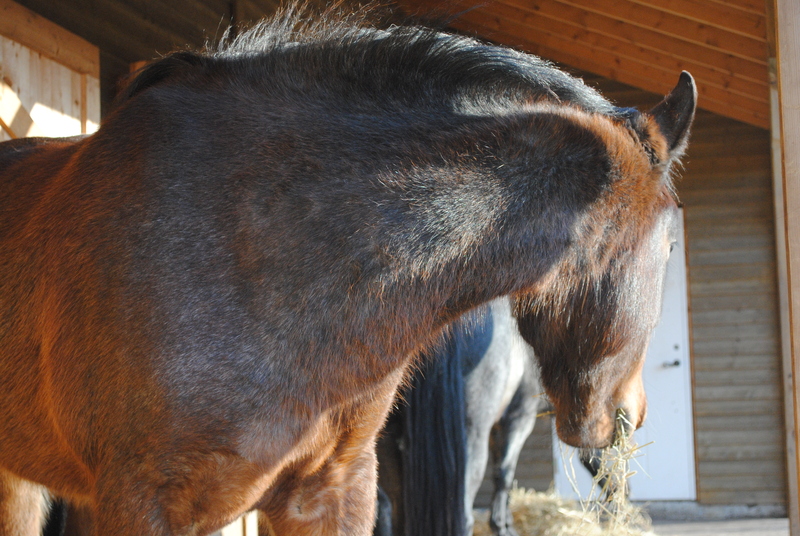 There are a number of protein building amino acids, some of them cannot be synthesized by the horse body itself so they must be ingested, therefore called essential amino acids. 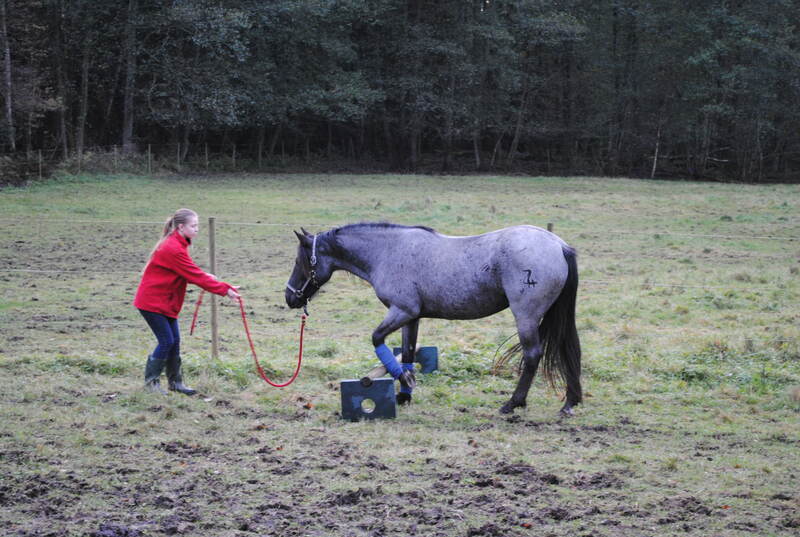 A normal diet contains all necessary essential amino acids a horse generally needs, but knowing about amino acids confirms the view that it is important to provide a wide range of different plants for the horse to choose from. 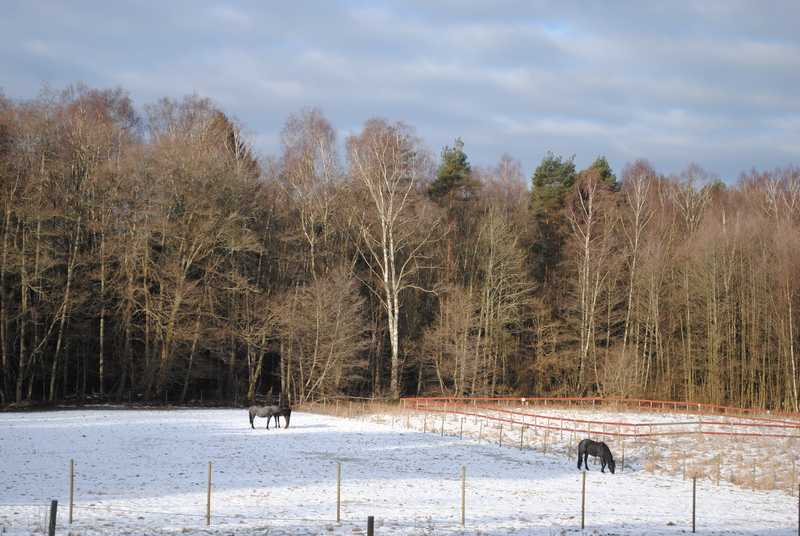 Hay or forage of a monotonous composition is usually not good enough; horses do benefit from the delicate smörgåsbord a varied pasture provides. 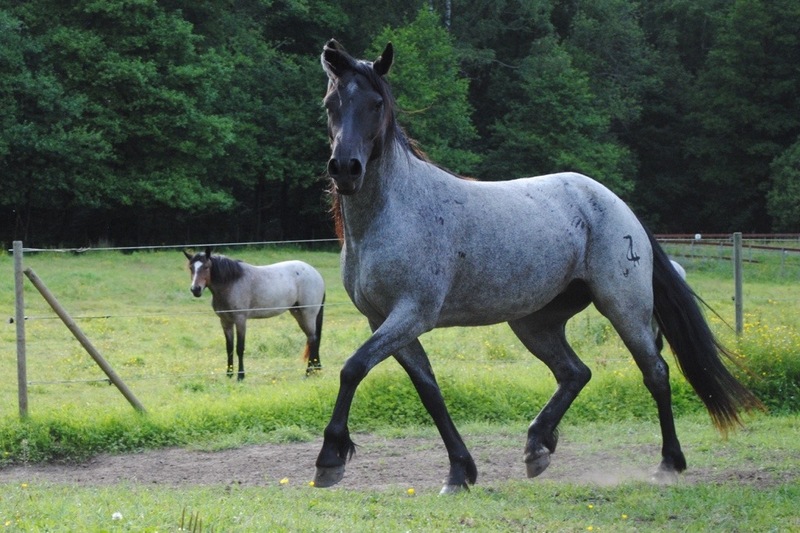 The essential amino acids for horses are: arginine, histidine, isoleucine, leucine, lysine, methionine, phenylalanine, threonine, trypto-phan, and valine. Three of them (lysine, methionine, and threonine) are often referred to as limiting amino acids, which means all three must be sufficiently present or the other amino acids in the food can’t be utilized. 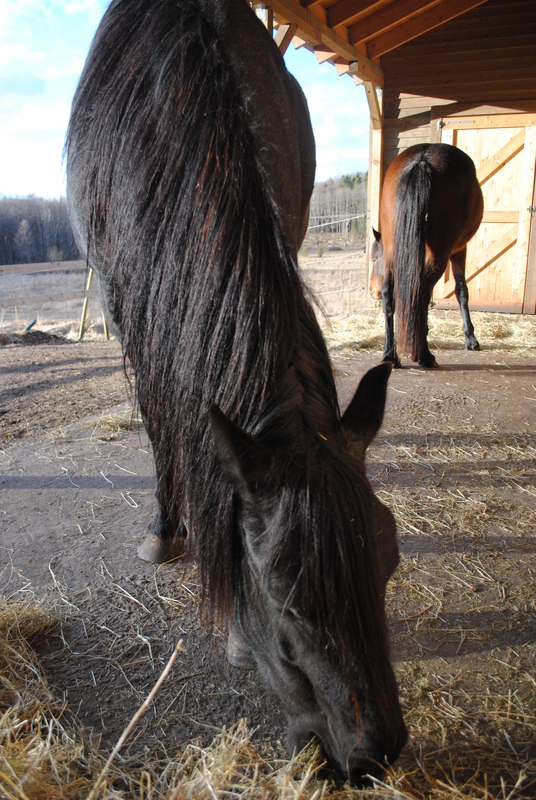 Argnine C6H14N4O2 is a semi-essential amino acid (essential for young horses) found in milk, wheat and soybeans. It is important for cell division, healing of wounds, the immune system, release of hormones and for removing ammonia from the body. Histidine C6H9N3O2 is found in milk, soybeans and seeds. It is important for the myelin sheets that are protecting nerve cells, also needed for production of red and white blood cells. It may assist in removing heavy metals from the body. Histidine is transformed to histamine which protects against allergic reactions. Copper and methionine may lower blood histamine levels. Isoleucine HO2CCH(NH2)CH(CH3)CH2CH3 is abundant in soy beans. It can be stored in the body in high quantities. Leucine HO2CCH(NH2)CH2CH(CH3)2 is a minor component in soybeans but is also found in most other plants and grains like wheat and oats. Leucine is utilized in the liver and most importantly in muscle tissue where it is known to stimulate the ability to synthesize proteins, to build and preserve muscles. Methionine HO2CCH(NH2)CH2CH2SCH3 is abundant in grains and other plant seeds, but low in fruits and legumes. There are studies that show it is important for reproduction, others that high levels may increase mitochondrial ROS and cause oxidative stress, or frankly put; damage cell structures, which can lead to different diseases. The content of lysine and methionine increases with protein content. 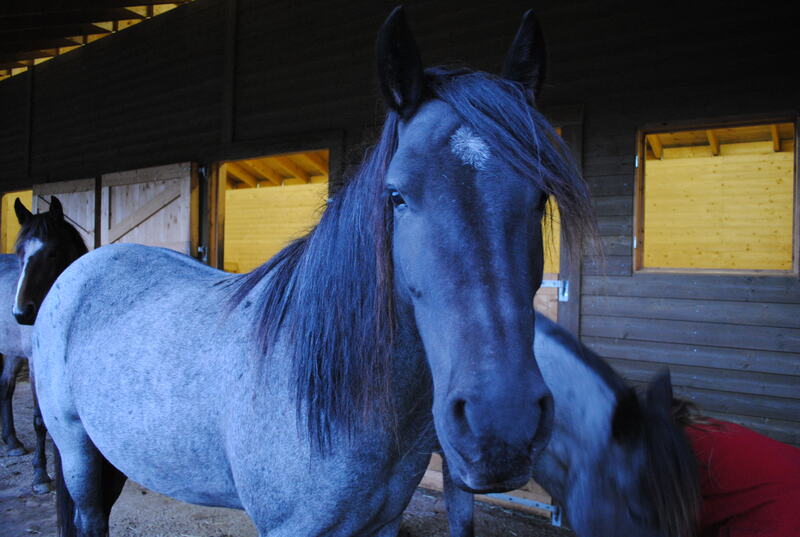 Lysine and methionine is sometimes considered the limiting factor for growth among young horses, especially for foals up to 6 months of age. It may also be involved in the formation of keratin. Phenylalanine C6H5CH2CH(NH2)COOH is the precursor for many compounds like adrenaline and the skin pigment melanin and various other compounds in the nervous system. It is present in milk. Threonine HO2CCH(NH2)CH(OH)CH3 is an important component in collagen. Sesame seeds are one potent source though it is also found in most other plants. Tryptophan C11H12N2O2 is found in most legumes, but also in oats and other plant seeds. It is a precursor to a series of very importnant compounds like serotonine, niacin and auxin. 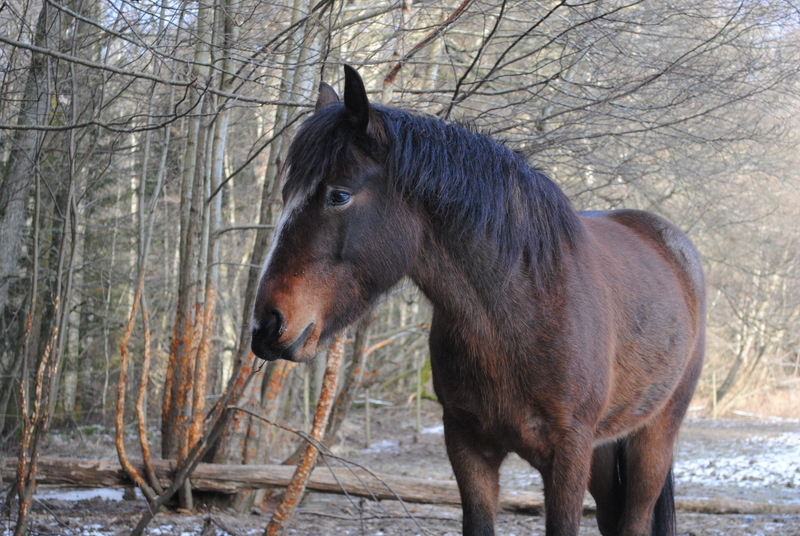 Horses can act very human, when they feel happy with their life. 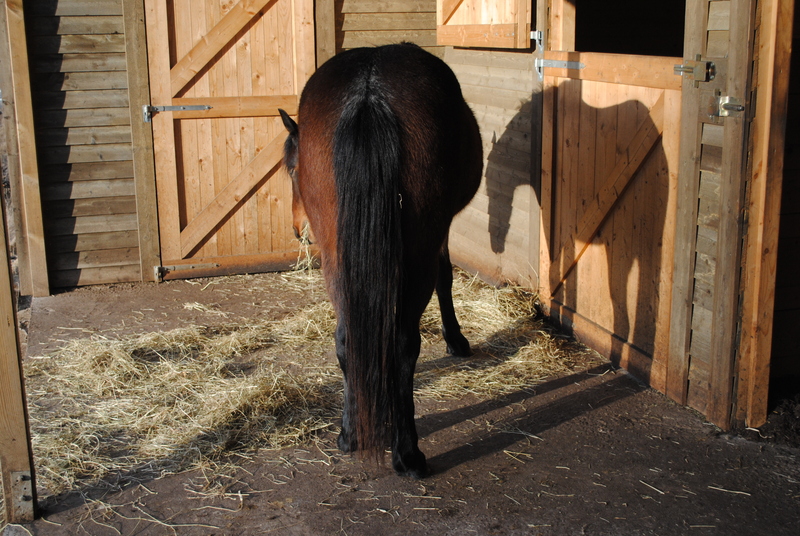 The other day we had a big cleaning day at our stable. The horses were walking back and forth in the pasture, hanging over the gate, wondering what we were up to. As soon as we were finished in the evening we opened the gate and the horses trotted up to the stable, Bluebell in the lead. 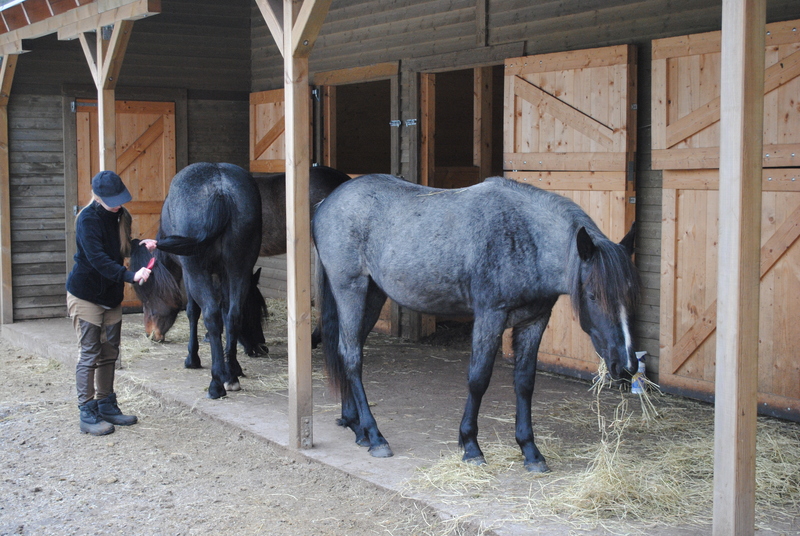 They slowly walked into the stable smelling the fresh bedding and the clean walls. After a short while they found their favorite places, lay down and soon fell asleep for the night, so did the nesting Barn Swallows. 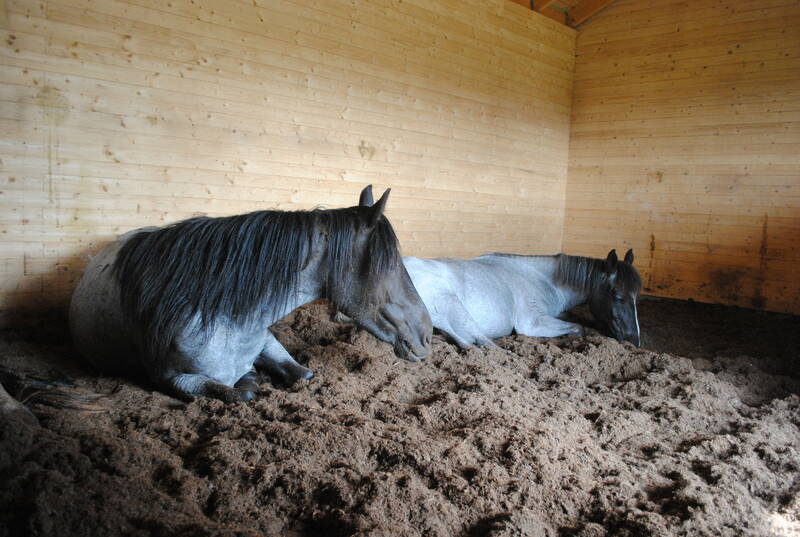 They have a big pasture of soft green grass to sleep in, but sometimes they prefer their stable! 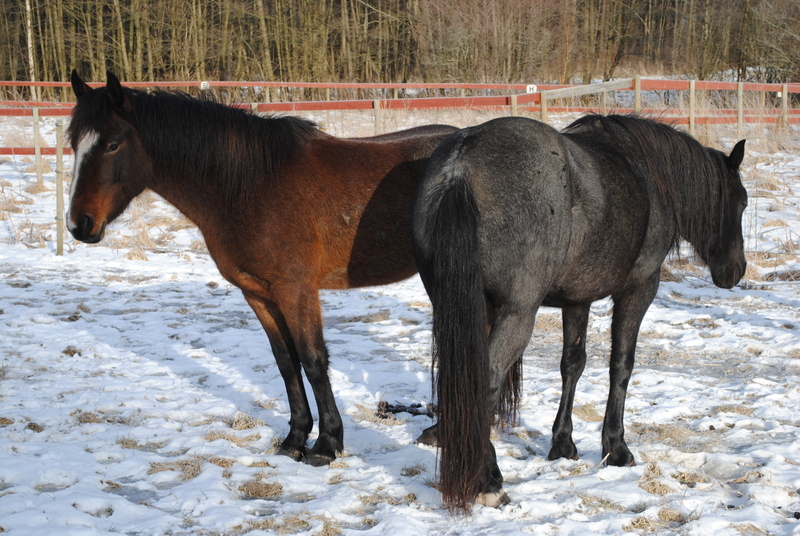 These Nokota mares love their home so much that it almost hurts their untamed image and wild horse heritage. 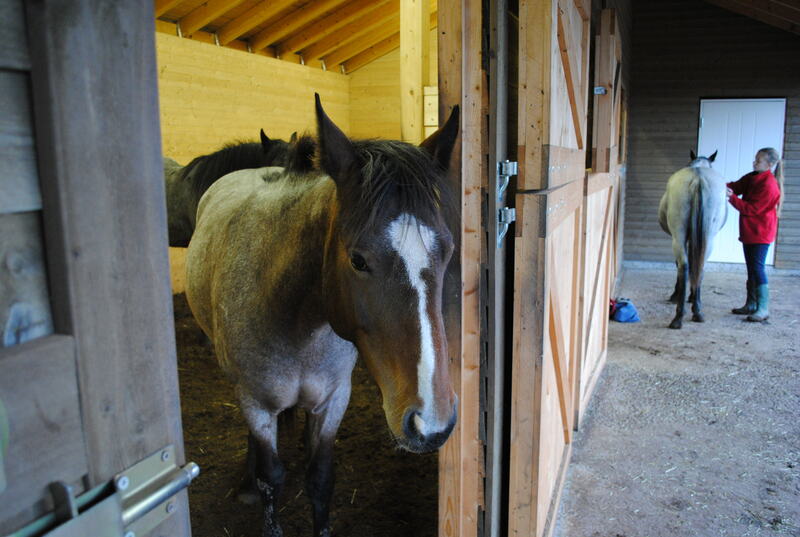 There’s nothing like a fresh cozy walk-in-stable when it’s time for a siesta. At summer it is cool in the day and warm at night thanks to the heavy concrete foundation that accumulates the heat. 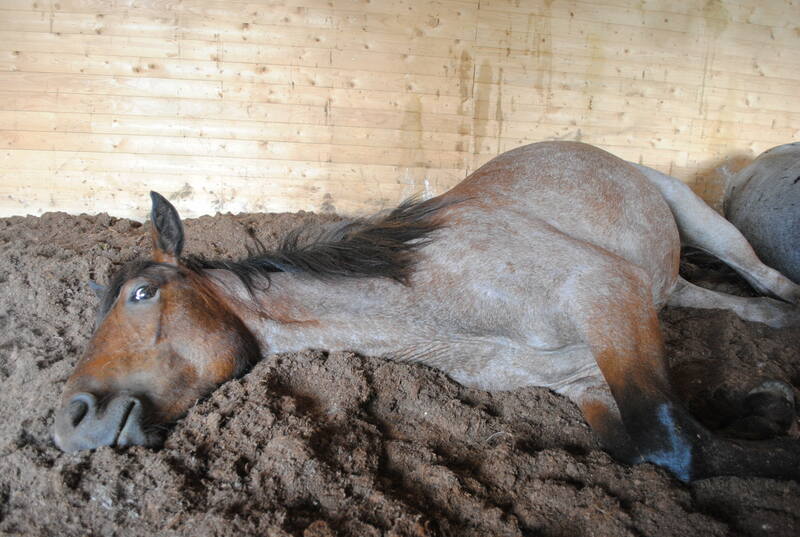 The stable is always dry and the bedding soft. It is also secure to rest near the house where their humans are and the high free view out over the pasture adds to that feeling of safety. 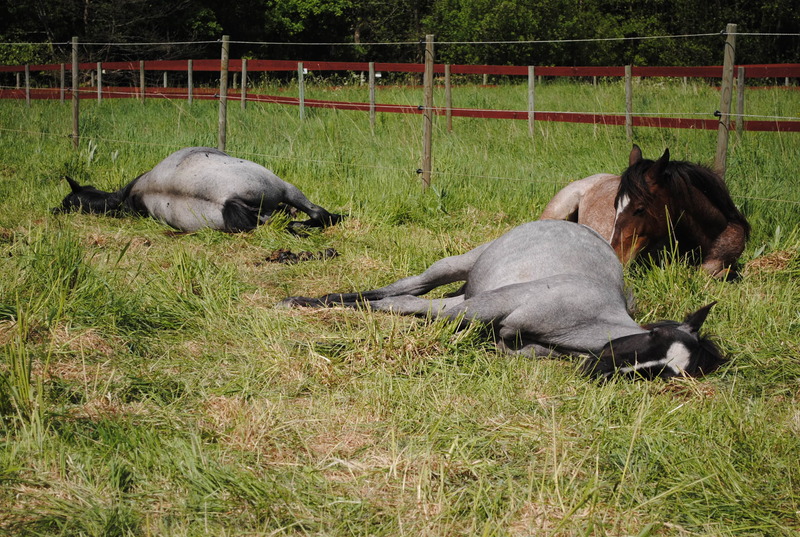 Their every day routine include spending hours grazing in the pasture, a few rounds of playing, bucking and running wild, after that a walk up to the corral for a sip of water is just right and then they walk into their stable for a nap. 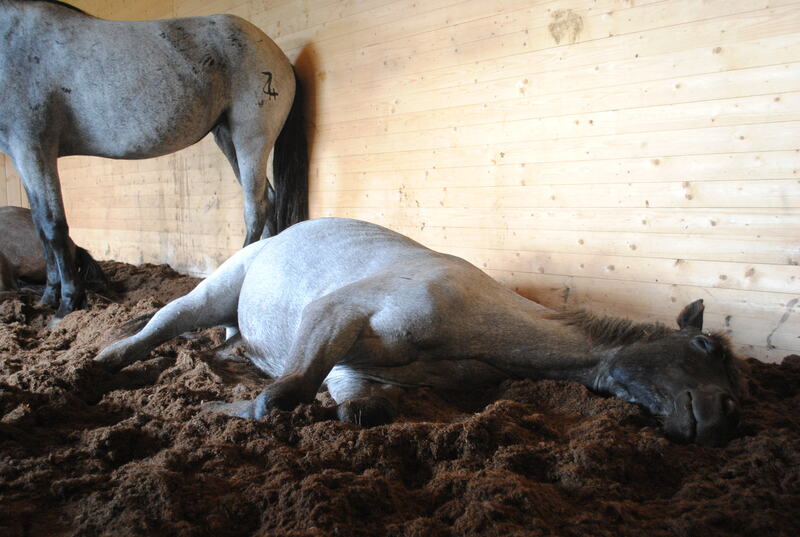 When horses rest on the floor bedding like this, it is easy to understand that a clean, good quality, bedding and good ventilation is important in a stable. Horses’ lungs are adapted for clean fresh air, anything else is bad.